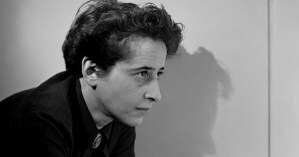 The emphasis on the potentiality of human action has a central role in Arendt’s political theory. According to her, one’s potentialities can only be actualized in action and speech in their ever-new forms. Hence, the realm of the political is not limited by ‘politics’; rather, it is the realm of becoming a self. In Arendt’s existentialist-political approach, by action and speech one can always begin something new and bring a new course to everything that exists, including one’s own self. These capacities can be actualized in a public realm, which consists of human plurality, i.e., a plurality of equal and distinct individuals. As Arendt indicates, there are two major threats to human plurality: totalitarian regimes, and mass societies that capitalist economies produce. In this lecture, we will discuss the meaning of becoming a self in light of those potentialities and threats today.